Link, the UK’s cash machine network, whose members include all the main debit card providers, is proposing to cut interchange fees by 20% over the next four years. The consequence of this fee change is that some cashpoint providers could either remove cash machines because they’d no longer be profitable, or make up the loss by charging you to withdraw money. As a registered disabled person and 87 years old, the length I can walk is limited. Any general reduction in the number of easily accessible ATMs will affect me considerably. So we’ve raised our concerns with the financial regulator, the Payment Systems Regulator (PSR). This week I wrote to Hannah Nixon, the Managing Director of the PSR. Which? has read with interest LINK’s proposal to reduce the level of its interchange fee which funds the free-to-use ATM network. We have significant concerns about the impact of its proposal for consumers and do not believe that they should be allowed to proceed without sufficient scrutiny from the regulator. Which? is therefore calling on the Payment Systems Regulator to conduct a wider market review of the use of the LINK, Mastercard, and Visa payment systems that takes into account other critical factors associated with the provision and use of cash. Which? is concerned by LINK’s assumption that consumer demand for cash is in decline and that overall numbers of free-to-use ATMs should necessarily reduce. The Bank of England has stated that the total demand for banknotes increased by 10% last year, its fastest growth in a decade, and that the total value of cash spending in the UK and the aggregate value of ATM withdrawals has stayed relatively stable over the past decade. Cash remains the most widely used payment method in the UK, and is still the preferred payment method for many – 2.7 million people in the UK rely almost entirely on cash. 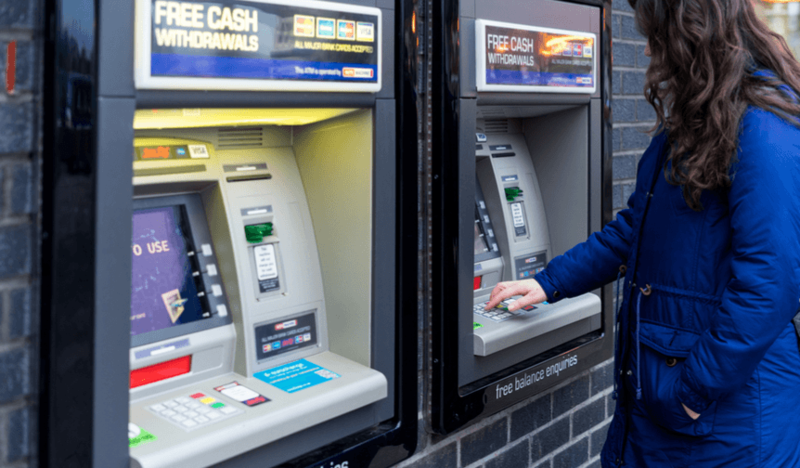 A significant reduction in the number of free-to-use ATMs, leaving consumers without easy access to their money free of charge, would therefore have a clear impact on consumers. While we welcome LINK’s commitment to the interests of consumers and to the wider public interest, its proposals appear to be driven by industry pressures, in particular pressure from banks to cut costs, combined with a possible lack of a level regulatory playing field between LINK and rival ATM schemes. LINK’s consultation focuses on the level of the interchange fee. However, the setting of interchange fees raises complex policy and competition law concerns. Which? is concerned that the consultation states that LINK’s interchange methodology – previously explicitly approved by competition regulators – results in an uncompetitive interchange fee. Regulators have long recognised that interchange fees are not a normal competitive price. Interchange fees in Mastercard and Visa’s credit and debit payment schemes have been subject to longstanding competition and regulatory concerns and are now directly regulated by the EU Interchange Fee Regulation. In 2001, the OFT found that LINK’s interchange fee was anti-competitive, but approved it on the condition that LINK members set it at the level of the average ATM costs of participating members, as determined by an independent study. While the OFT decision may have formally expired, the same principles and competition law still applies. The PSR is best placed to subject LINK’s interchange fee to proper regulatory scrutiny. Furthermore, LINK’s proposals cannot be considered in isolation from questions about wider market factors. Any decision should take into account potential alternative options for accessing cash and the wider landscape of the provision of banking services, as well as an assessment of the level of effective competition between alternative ATM schemes and payment service providers. Finally, it is vital that the lessons are learnt from the Payment Council’s decision in 2009 to abolish cheques, which raised similar public policy and competition issues, particularly since cash use is much more significant and widespread than the use of cheques. Furthermore in light of the ongoing reduction in banks’ branch networks, these proposals must not send a signal that the industry has permission to reduce the ATM network in the future as they deem necessary. Given that the PSR has responsibility for promoting competition, innovation, and the interests of payment-users of all the major UK payment systems, including LINK, Mastercard and Visa, it is well placed to conduct the review we propose. In light of the concerns that Which?, the Treasury Select Committee and other organisations have raised about the current proposals, I urge the PSR to not allow LINK’s current proposals to proceed before such a review. I look forward to meeting in the New Year to discuss these issues further. We now await a response from the PSR. In the meantime tell us, how often do you withdraw money from a cashpoint? Would you pay to withdraw your money? I live in the market town of Bingham in Nottinghamshire, we had two banks -Natwest and lloyds now we have none. When the banks closed so there cash machines went as well, we now depend on three machines located in small super markets. The town has expanded to twice its size over the past thirty years so the banks decision to close makes little sence to lots of residents. The reason is that people use the internet for there banking is the excuse for closer of the banks. Have spoken to local residents and a number are finding problems whith not having direct contact whith a bank. is to close down the ATMs and leave communities without access to their own cash.